MOSCOW (Sputnik) – The National Office of Civil Aviation of Haiti (OFNAC) said in a statement it had decided on Friday to ban flights of Boeing 737 MAX planes in its airspace after the deadly crash in Ethiopia. "Based on all the information it has, OFNAC believes that there could be a need in additional measures for ensuring flight safety of two models (Boeing 737-8 MAX and Boeing 737-9 MAX). That is why, waiting for new correctional measures, OFNAC bans landings, take-offs and flights of these two types of planes on the territory of Haiti and in its airspace," the statement said. OFNAC pointed out that the ban would not affect non-commercial flights. 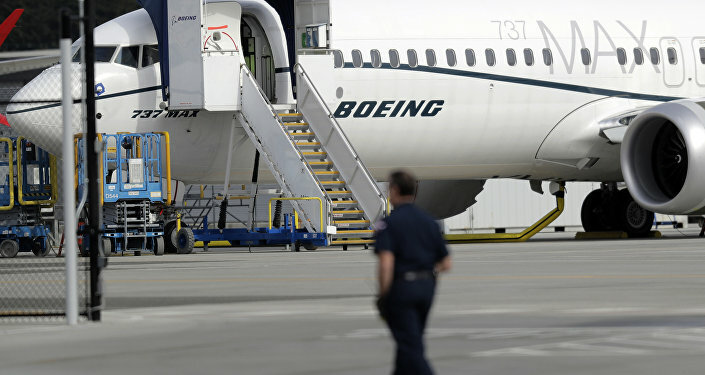 A number of aviation authorities and airlines around the world have also either suspended the use of their Boeing 737 MAX planes or closed the countries' airspace to them, expressing concern over similarities between March 10 Boeing 737 MAX 8 crash in Ethiopia and the accident involving a Boeing of the same model in Indonesia last October. A Boeing 737 MAX 8 operated by Ethiopian Airlines crashed in central Ethiopia on March 10 soon after takeoff, killing all 157 people aboard. Currently, the probe is focused on a flight safety system, which is believed to have played a certain role in the Indonesian plane crash. This system dubbed Manoeuvring Characteristics Augmentation System, or MCAS, was designed to prevent stalls in flaps-retracted, low-speed, nose-up flight.